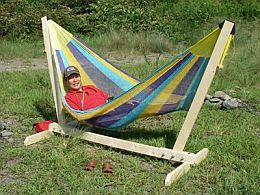 Sleeping on a hammock is one of the eco-friendly solutions. It is economically cheap and can be made so simply, and it gives you overall good health condition. Hammocks are not only incredibly comfortable but also provide you health restoration such as improving your immune system, metabolism, rejuvenating your brain for talents and good memory, and let you achieve a sound mind, body, and spirit. Do you believe that? 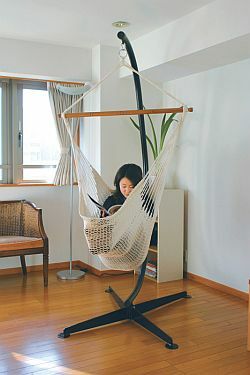 Yes, hammocks are incredibly comfortable for everyone. Babies sleep well on it because they feel they are being hugged by their mother. Millions of people around the world use hammocks for relaxation and increasing their energy. Hammock is perfect in reducing stress. 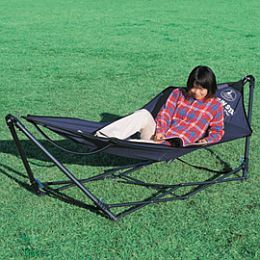 Some people believe that hammock will make your body improperly shaped while sleeping. However, only specialists know that sleeping on the hammock maintains your body's good shape. Now, I can conclude that hammock is one of the healthiest ways of relaxation. Aside from hammock, rocking chair with PYRO-ENERGEN connected is also recommended for the best effect.